Here's how we'll remember PAX South...oh boy. 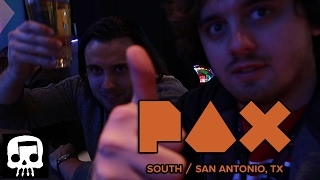 Enjoy this PAX South vlog of our experiences in San Antonio. MY BIKINI BODY AFTER 10 YEARS VEGAN I show you what i eat in a day on a raw vegan fully raw diet. Ofcourse ANYONE can chuck on a bikini and rock it but I'm just showing you my personal results of living the raw vegan/raw till 4 lifestyle for the past nearly 10 years. Enjoy! 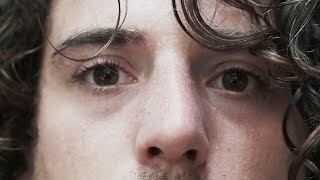 I film my daily vlogs on a Sony a6300 with 24-70mm lens. I currently use Movavi to edit my videos but am learning Adobe Premier. I don't use shampoo or conditioner. Please don't leave any nasty comments about the person or relationship I was previously in, I don't regret my time with him and I have no hate towards him. We had our time together and helped each other grow in many ways. Let's just all move on in peace. 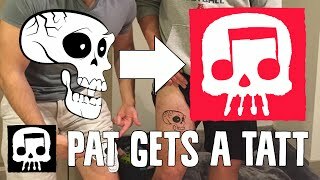 We chronicle the adventure of Skull and Pat passing off the old logo in style.